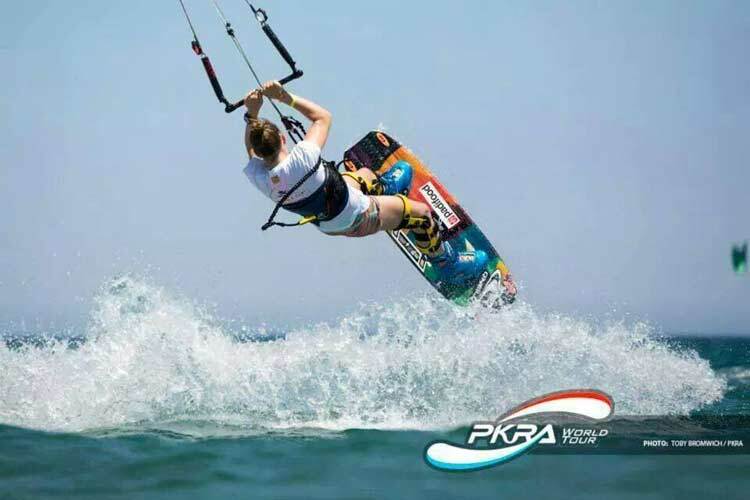 We speak to the parents of Isabeau Galiart about their choice to move the entire family from The Netherlands to live in Tarifa to support her dream of becoming professional kitesurfer. 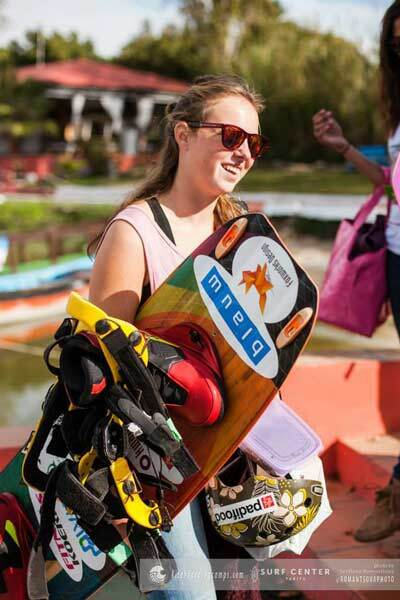 A lot of people may have noticed a current concentration of girls currently living and training in Tarifa. This is no coincidence as it is one of the best wind locations in Europe and being at the southern tip of Spain, is your best chance of staying in Europe during the winter yet still getting some warm sunshine. 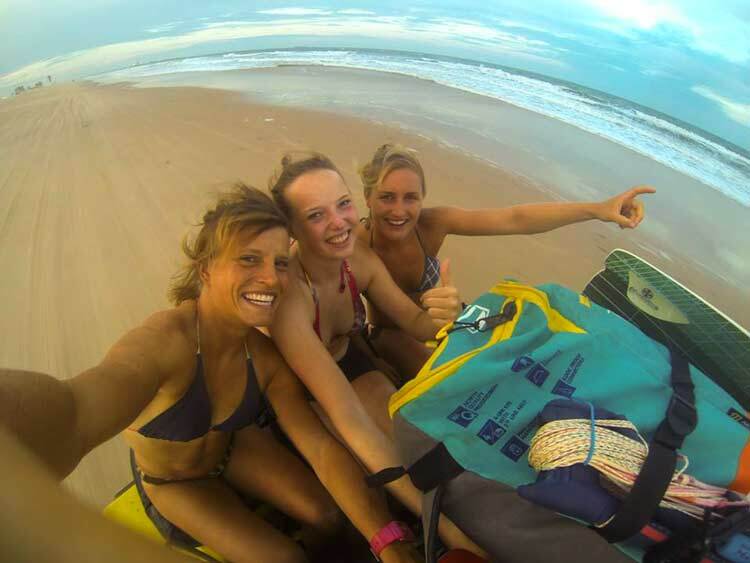 One of those girls is Isabeau Galiart however her story is slightly different because her entire family uprooted themselves from The Netherlands to live in Tarifa to support her dream of becoming professional kitesurfer. We decided not to speak to Isabeau, but instead to her parents Danny and Kirsten and in order to learn a bit more about this decision and the mindset of parents will to change so much of their lives to support their child’s dreams. KSm: Hi Danny first of all can you introduce yourself and tell us a little bit more about you and your family? D&K: We are a family of only 4 and a lots of animals. We are myself Danny Galiart and my partner Kirsten and we have 2 daughters Jesslin (20) and Isabeau (16). I have been living together with my partner for more than 10 years and have always lived in Holland until we made the move to Tarifa last September. We live here not in the town of Tarifa but on the mountain of La Pena (in the countryside). We live very isolated here. And we have lot’s of animals around the house including 4 horses, 1 donkey, 3 dogs and 2 cats. KSm: What sacrifices have you and your family needed to make in order to support Isabeau? 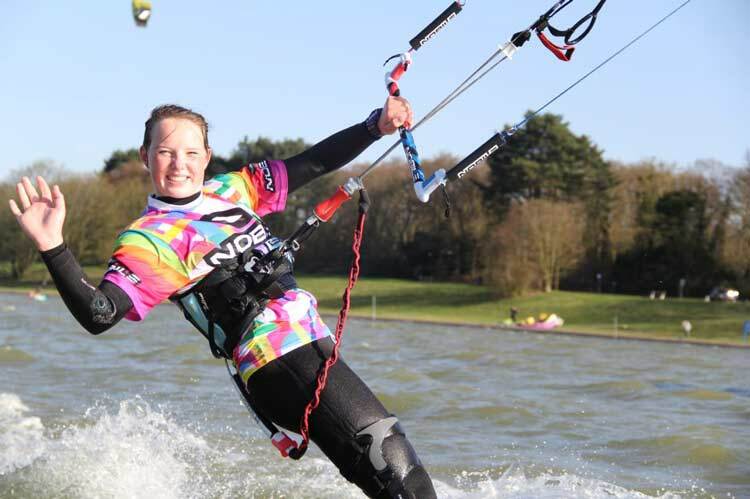 D&K: We moved because we want to provide the best conditions for Isabeau… she wants become one of the best kitesurfers in the world and want to participate in the world tour but we have our business in Holland which sells pizzas in the foodservice market. I have to go back to Holland every 3 to 4 weeks to visit our clients and make new clients. That is a sacrifice I have to make, missing my family for a week. I also love my ice hockey, having been a professional ice hockey player and now just having fun on the ice with my old teammates, but we still have not found any ice in Tarifa. The other thing want we miss and had to leave behind was our other daughter… She stayed in Holland because she is a professional horseback rider and is working at one of the top stables. Of course all of our family is still back in Holland. KSm: What criticisms have you come up against from others and how would you respond to them? D&K: We only have gotten positive reactions from our friends and family. They all are very supporting. KSm: What are the main advantages that you and your family gain from living in Tarifa? 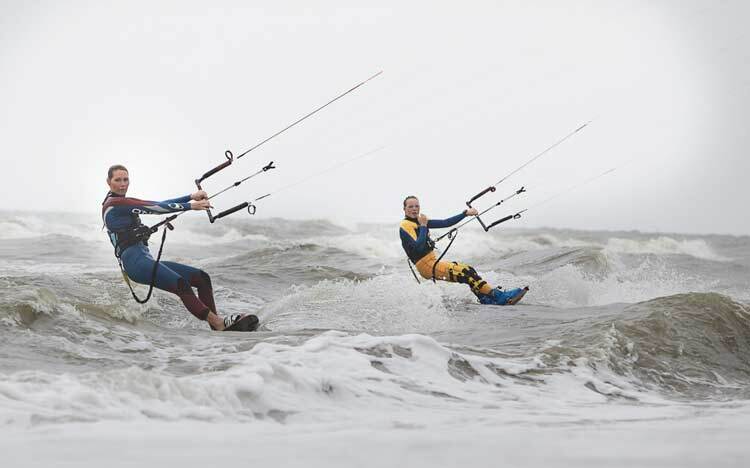 D&K: The main advantage is that Isabeau has the best conditions to train all year round. 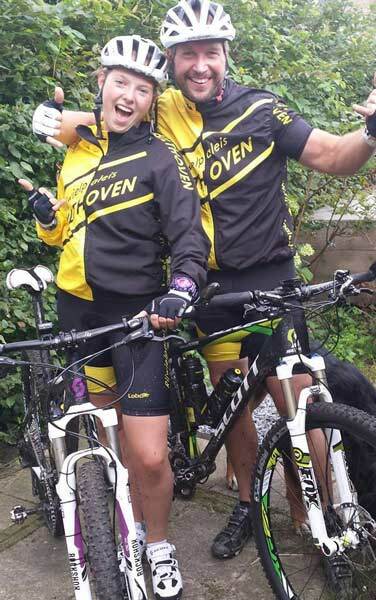 Also we can train much more than before, she can go mountain biking for a better physical condition and we do all lot of bootcamp. Other advantages are of course the beautiful surroundings we are living in and the new language we are all learning. KSm: The main criticism facing parents who support or can be seen to be pushing their children’s sporting dreams at a young age is that it’s the parents dream and not the child how would you respond to this? D&K: There is a big difference between pushing and supporting. We are asking every 6 months if this is still what she wants and if this is still her dream. We only support her in the ways that we can and we are both training a lot together on the water. KSm: How able do you think your daughter is at 16 to make a choices about her future such as a commitment to a single sport, as we know at 16 the choices we made about our future were not those that we would have perhaps made at a later age? D&K: We are not making any big decisions for the rest for her life and school is still the number one priority. 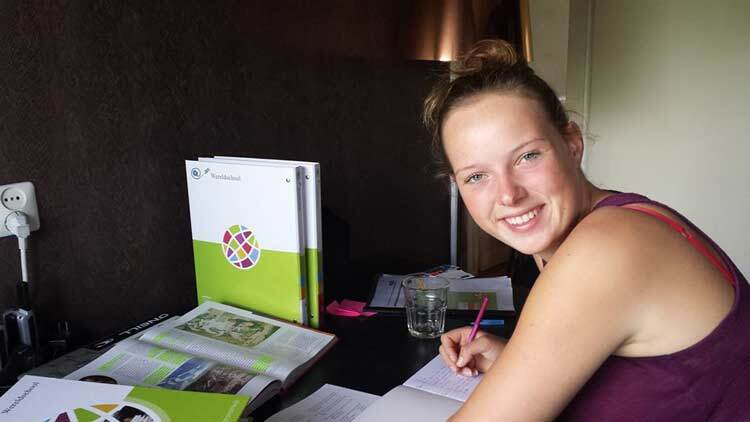 she is getting good grades and her level of education is the same as in Holland. Furthermore if you want to become good in any sport or hobby you need to practice and what better life you can have than on a beach in nice weather conditions and seeing some of the most beautiful spots in the world. 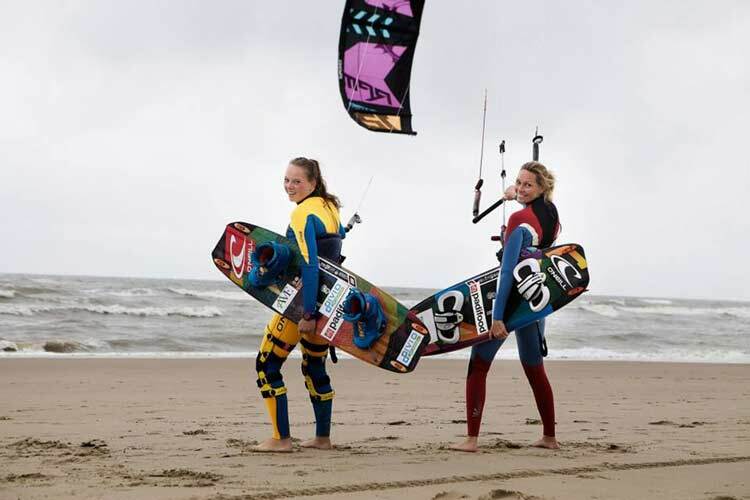 She also knows that if her school work is not good, then there is no kitesurfing. KSm: How quickly has Isabeau adapted to learning a new language and fitting into a new school system? D&K: Isabeau is doing home schooling. This system works for her very well because she is very disciplined with her work. She says because of the self studying she has also more discipline with her sport. A lot of het girlfriends in holland did not understand her when she was not going out on the weekends but left the party early because she wanted to train the next day. Of course she misses the interaction with friends in school, but she has lots of friends on the water and is having fun with them. The language change is going ok but because most of her friends are speaking English and German it can be a slight problem. KSm: Where do you hope to see Isabeau and her achievements in the coming years? D&K: Where she wants to be. She has her goal to be one of the best 7 riders in the next couple of years. KSm: How do you prepare prepare your daughter for the possibility of injury and disappointment? D&K: You can not prepare anyone for these things, that’s all in the game. We have had them already in the family with myself who had injuries and our other daughter with also with horseback riding. KSm: What has been the best part of your decision for you as a family? D&K: The quality of life has improved for everybody and to give this opportunity to a young person is unforgettable. KSm: What advice would you give to other parents and families who when reading this may think this is a path to follow? D&K: Other parents should just do it. But do it not only for your child but do it for yourself as well. We are selfish enough to want good things for ourself also. but the timing must be right. Everybody in the family must be ok with the choice. KSm: What advice would you give to other girls who also want to pursue their dreams but whose families are not as supportive as you have been? D&K: At moment we have 2 other dutch girl riders in the house. They have parents who are not able to move and are also a bit older so they are training with Isabeau and preparing for the next season. So look for other possibilities to live your dreams. Thank you Danny and Kirsten for taking the time to speak to us and we wish Isabeau and you all the best for the coming season.